Hello, lovelies~ I received a couple of lippies from Maybelline Indonesia a few weeks ago, introducing their Color Sensational line. I have already reviewed the Color Sensational lipsticks here. You can just click on this link to read an in-depth review on it, but I haven't tried their matte range. 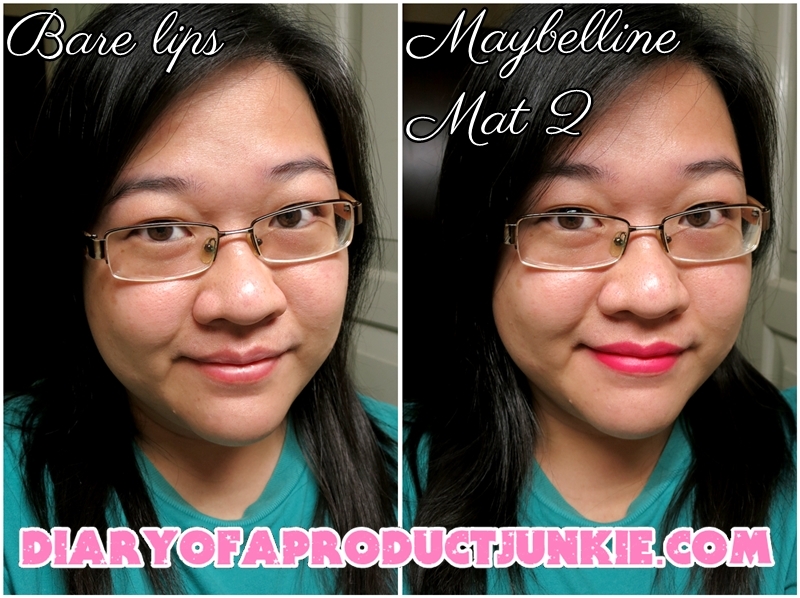 For those who just can't get enough of matte lipstick, let's go start the review! The brand new lipstick has a plastic seal with the words BOLD MATTE by Color Sensational that nearly covers the whole case. I haven't seen the other shades, but I reckon the cases resembles the color of the lipstick inside. That's just an assumption, though, so don't quote me on that. The shade I got is MAT2, a coral red color that I'm a little intimidated by. I'm always a little scared when having to use coral shades because it just looks weird/off on my skin tone. However, the shade is just gorgeous when I swatched it on the back of my hand. Now, this wouldn't be a complete post if I didn't include any before and after picture, right? As usual, I've provided the picture below to show you how different one can look with just a pop of color. 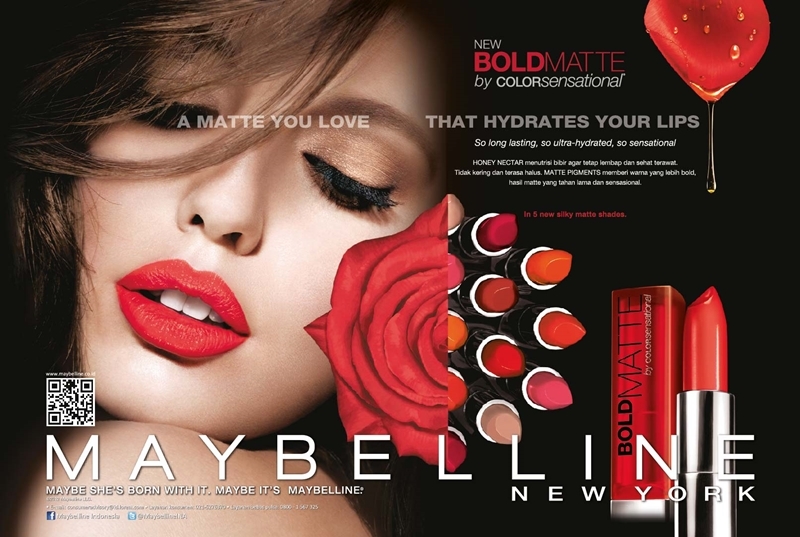 The BOLD is not a joke because it really is bright enough to attract everyone's attention to your lips. I still feel that I can't pull of this color (coral shades), but what do you think? It could be my perspective that isn't adjusted to this color on my complexion, lol. I didn't use any lip balm before hand to test whether the lipstick is drying on my lips. It turns out that it has a great color payoff and opaqueness within one swipe. Despite the lack of lip balm, the lipstick is able to provide sufficient moisture to my lips, thus not drying it out like most matte lipsticks. However, it does have a slight sheen on the lips, but nothing too noticeable. When I applied this on my lips, it felt creamy on my lips. The lipstick pigment stayed on quite a long time, if I didn't have any meal after applying it. As seen on the picture below, it still left a little stain on my lips after a solid three hours. I already had my morning tea and it still has a slight stain on my lips. Usually, most lipsticks will have faded by the 1 hour on my lips. Mr. G even said that I had a strawberry shade on my lips after it slightly faded, lol. Oh, I have already applied foundation on the right picture, hence the complexion difference. Overall, I didn't expect to like this lipstick because of its bold shade and matte finish. I'm not really a fan of matte lipsticks because of their drying property. However, this one is different from the other because of its creamy feel on my lips. Sure it's not as moisturizing as a lip balm, but it isn't as drying as most of the matte lipsticks I have tried. I think I'm gonna give this coral shade a shot because I like the shade when it fades. Probably can do the blotting technique to tone down the boldness for everyday use. 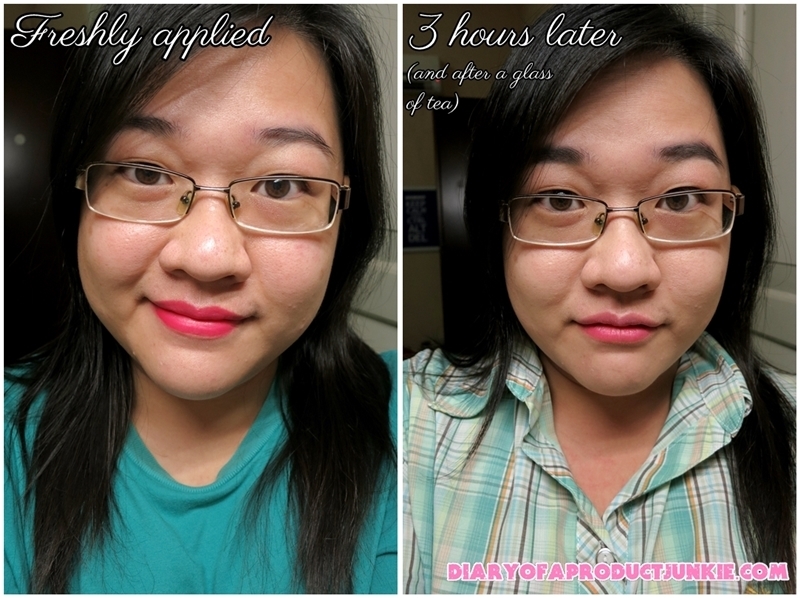 The picture below is after touching up the lipstick, blotted it and applied lip balm in the center of the lips. Quite wearable for everyday, I reckon. setelah 3 jam sedikit memudar tapi tetep bagus warnanya..